Our previous post “Diving into Analytics with only the Bare Necessities” explained how leveraging skinny speech data can help contact centers improve agent effectiveness, minimize compliance risk, capitalize on selling opportunities, identify complaint trends, reduce customer churn, decrease operational costs, and mine rich new veins of business intelligence. In Part II, I’d like to share some specific examples of organizations are leveraging speech analytics to improve their customer experience and increase their intelligence about customers. A major health care provider attempted to predict member churn using nothing but skinny data. Within three months, it successfully identified patterns that could predict a member who was about to churn with 38 percent accuracy. Would other forms of data augment these results? You bet. Accuracy could unquestionably be improved by spending considerable amounts of time and money to tediously mine large repositories of relevant unstructured data. But why go that deep? The inexpensive insights produced with skinny data already saved millions in revenue. If an end-user’s speech tool and servers have enough capacity, it can track an almost unlimited number of phrases. A user who was new to speech analytics enthusiastically kicked off our relationship by brainstorming a list of more than 400 phrases related to a wide range of issues. Searching for 400 phrases would have buried the organization in a virtual avalanche of data. It was decided to temporarily set aside entire categories it considered non-essential and hold off from including certain phrases that occurred infrequently, ranking categories by business priority. As a result, this work group produced an abundance of high-value actionable intelligence from a manageable amount of search results. In the months that followed, employees gained valuable hands-on experience, learned both the strengths and limits of their speech platform, recognized which categories where truly more relevant to their business goals, and determined the best way to leverage speech with their processes. While many organizations apply speech analytics to ongoing, long-term initiatives, many gain quick wins along the way, that have made immediate impacts on the bottom line. The following industry examples may spark ideas about how you can use skinny speech data in your own organization to solve business issues. Business analysts discovered agents making potentially litigious “guarantee” statements. Those agents were taken off the floor the next day and given additional training and coaching to minimize the institution’s risks. Analysts discovered the retailer’s website offered a next-day shipping option when no such option existed. This simple website change had an immediate impact on the organization because it reduced callbacks, improved AHT (average handle time), reduced call volume, and most importantly, reduced customer frustration. Analysts began to see trending that identified customers who were threatening lawsuits. Customers were frustrated and venting. The organization coached agents to shift the focus by referencing “small claims court” during the interaction. This coaching enabled the agent to be empathetic with customer frustration and to resolve their issue. Analysts saw an agent coaching opportunity to improve compliance and reduce risk. Agents were ad-libbing and making medical misstatements that left the client vulnerable to significant legal consequences and it created legal issues for the retailer as well. Agents were given training not just on what should or shouldn’t be said, but also the consequences of stating wrong information. A chief compliance and privacy officer was horrified when told by his analysts that a number of collections associates routinely used phrases that could be considered false threats, such as, “Take back your car.” According to this executive, the dollar cost of customer reprisal action could have cost as much as $10 million. 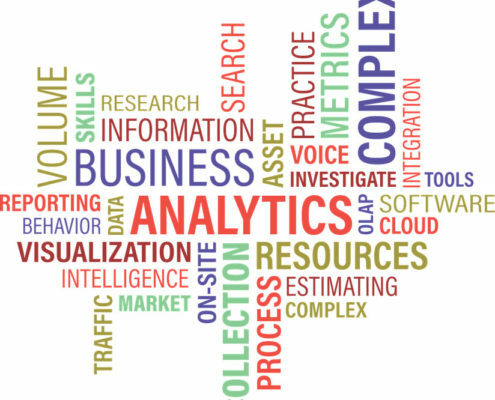 Unlike long, complex big data initiatives that take 9 to 12 months and produce results that don’t always justify the expense of producing them, skinny speech projects generate fast, low-cost wins in four weeks or less and prove to key stakeholders speech analytics generates a healthy ROI.